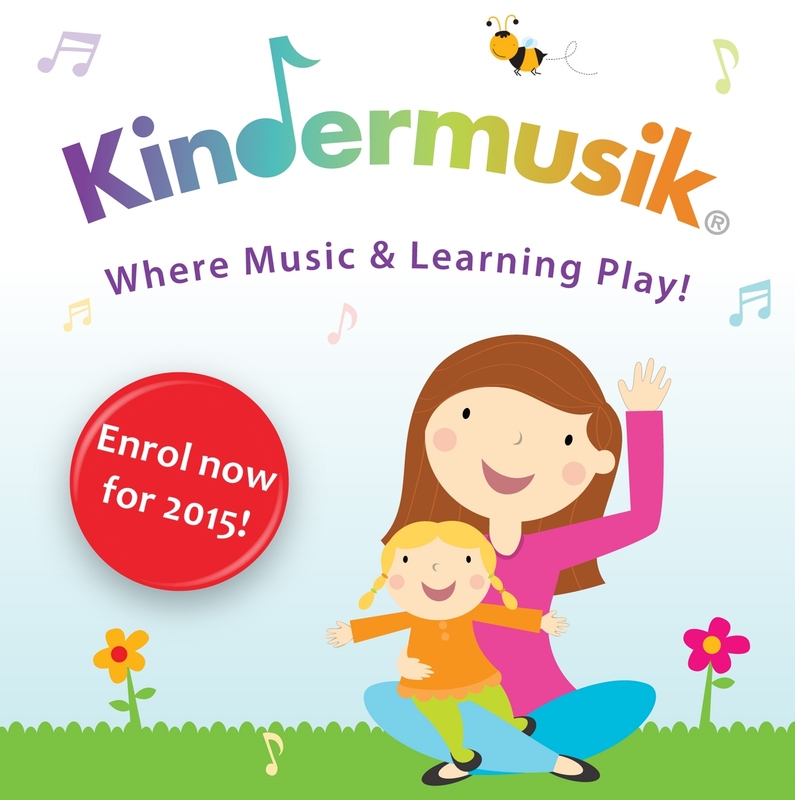 We’re very excited to announce new offerings for Kindermusik classes at Music2Grow in 2015! For babies, toddlers, preschoolers and big kids (newborn – 7 years), each age-appropriate unit is packed with music, stories and activities to stimulate language, physical, cognitive, social and emotional development and inspire a lifetime love of music and learning! Term 1 classes will commence in the week beginning 2nd February (except Young Child classes which have a delayed start to allow children to settle in to school/prep first). Pay in full by 20th January 2015 for an earlybird discount*. Payment plan options also available, please contact Verna for details. Hop on the hayride—it’s time to head for the farm! Old Mac Donald takes us there with songs and activities such as This Little Cow Eats Grass, Hop Up My Baby and Old MacDonald. We’ll engage in rituals and playful activities including infant massage, lap bounces, exercise, and quiet time as we focus on your baby’s developing listening skills. Let’s explore the wonders and sensations of the outdoors! We’ll use our eyes to look all around, and our ears to listen to all of the sounds we hear. Plus, we’ll touch, and smell, and move, and play! There’s no feast for the senses quite like a Nature Walk. 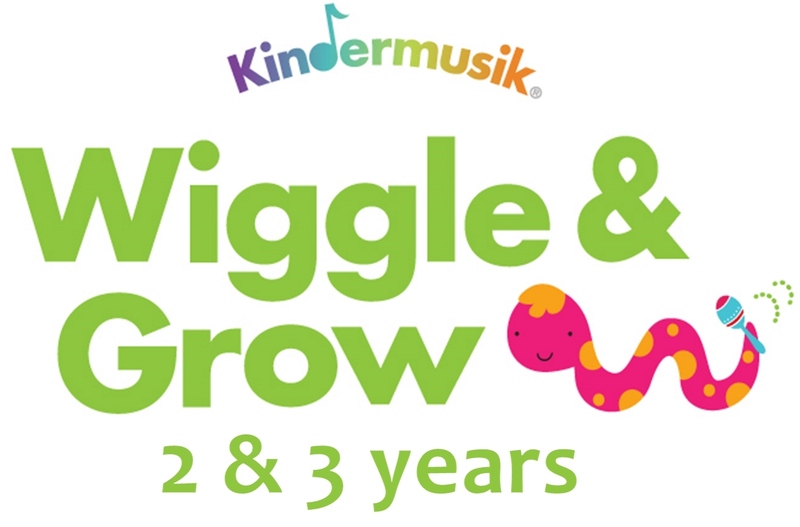 Term Fees: $140 (or $130* Early Bird Discount price, pay in full by 20th January 2015) includes 8 x 45 minute classes and Kindermusik@Home Materials: 2 x digital At Home units, 2 x CDS of class music, Board Book: Wiggle Waggle Bee and Chime Ball instrument. NEW ENROLMENT SPECIAL – for babies 6 months and under attending their first term of Cuddle & Bounce – $80 (does not include take home pack). An enduring favourite theme, farms (and all the moos, quacks, and neighs that come with them) are a reliable toddler hit! Packed with classic songs and rhymes such as ‘Little Boy Blue’ and ‘Baa, Baa, Black Sheep’, Big Red Barn is a delightfully active unit. We’ll enjoy moving like animals, making animal sounds, playing instruments and exploring the opposing concepts of loud/quiet and fast/slow. Dedicated to the great outdoors, the environment, and our many animal friends, Big Back Yard is full of songs, finger-plays, nursery rhymes, musical stories & dances that will inspire you to discover, wonder and explore in your own backyard. We will enjoy pretend play as we become a growing tree, move like snails and grasshoppers, fly kites and wiggle our toes in the sand, all while developing your toddler’s gross-motor skills. 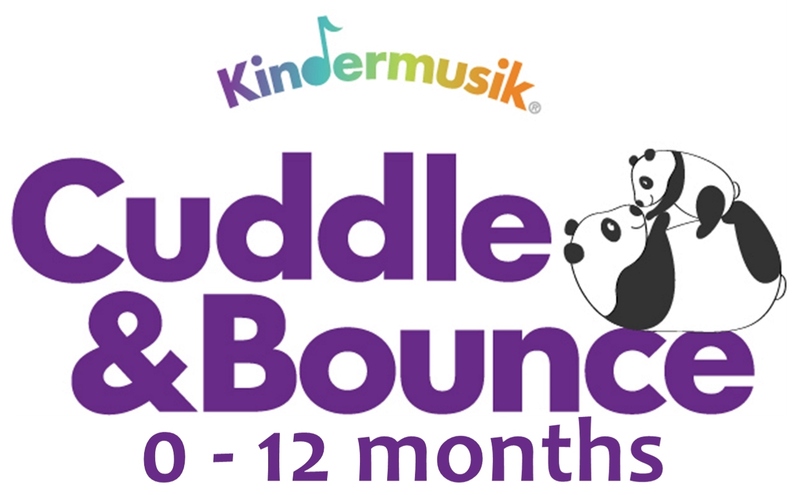 Term Fees: $140 (or $130*Early Bird Discount price, pay in full by 20th January 2015) includes 8 x 45 minute classes and Kindermusik@Home Materials: 2 x digital At Home units, 2 x CDS of class music, Board Book: In My Sandbox and Lady Bug shaker instrument. Everyone loves singing and dancing, but when you add a splash of colour and a farmyard of fun, it gets even better! Join us as we explore haystacks and hayrides, tractors, barns, and lots (and lots) of farm animals. This unit is loaded with delightful tunes and lots of learning. Find all the shapes on the farm; a round tractor wheel, triangle roof, rectangle barn door and more. There are dancing circles, old farm favourites like Old MacDonald and new favourites like Jenny Jenkins and Happy Pig. In this unit, we’ll roll up our sleeves, get right Down on the Ground and take a good look around. We’ll engage your child’s natural curiosity as we hop like bunnies, scoot like caterpillars, scurry like squirrels, and even do a certain, familiar spider fingerplay. We’ll focus on the opposing concepts of High & Low, imitative play and your child’s emerging loco-motor skills. Term Fees: $120 (or $110* Early Bird Discount price, pay in full by 20th January 2015) includes 8 x 45 minute classes and Kindermusik@Home Materials: 2 x digital At Home units. Optional Take Home Pack (+ $20): 2 x CDs of class music, class storybook: Jenny Jenkins and Animal shaker instrument. Put on your overalls and grab your wellies! We are driving on down to Grampa’s farm as well as galloping, waddling, rolling, and scurrying to explore the movements and sounds of farm animals and life on the farm. While singing beloved songs and learning through both fine and large motor movements, we find out how our bodies can stop and go and keep a steady beat. We immerse ourselves in farm life through finger-play, rhymes, listening, and instrument play. We indulge a child’s natural love for animals by using our imaginations to connect with our furry, fuzzy, and feathered farm friends. The sun is shining, birds are singing, insects are buzzing and critters are sniffing, wriggling, chirping, hopping, and burrowing. We’ll buzz like bees, fly like butterflies, and sing like birds to discover the hidden delights of our backyards through listening, singing, movement, and pretend play. Lesson activities will focus on developing your child’s musicality and creative expression. Come along—it’s a beautiful day In My Garden! Optional Take Home Pack (+ $20): 2 x CDs of class music, class storybook: Sweet Pea and Two-tone Woodblock. Semester Fees: $300 (or $270* Early Bird Discount price, pay in full by 2nd March 2015) includes 15 x 50 minute classes over 2 terms and Kindermusik At Home Materials. Home Materials: Children’s Folder with stickers, games bag, and Music At Home Cards, Family Songbook, Home CD of music from class, glockenspiel, and canvas bag (during first semester). Lessons 13-15: Glockenspiels – Pre Keyboard Skills! Musical learning for kids who are 4-6 is all about experiencing music through play and HANDS ON exploration. In this unit we use the pre-keyboard instrument called a Glockenspiel to organize and expand learning about steady beat, melody, and rhythm. Semester Fees: $300 (*or $270 Early Bird Discount price, pay in full by 20th January 2015) includes 15 x 50 minute classes over 2 terms and Kindermusik At Home Materials. Home Materials: Children’s Folder with stickers, games bag, and Music At Home Cards, Family Songbook, Home CD of music from class, and dulcimer. Lessons 31-34: The Music of Appalachia: There is a rich history in the Mountains of Appalachia, where dulcimers strum, washboards scrub, and spoons click. We will learn to play the TWO STRING DULCIMER and explore the unique sounds, games and dances of this region. Lessons 38-42: Jazz of the City and Songs of Nature: Dixieland Jazz and Spirituals are just two forms of music that come from the African American Culture. Nature as experienced by Native Americans has inspired beautiful music as well. Join us as we celebrate these musical styles through dance, ensembles, and composition. Lessons 43-45: The World of Dance: Music is for playing and MOVING! Ballet, Tap and Jazz all have distinct sounds and dances. The Nutcracker Suite by Peter Tchaikovsky is a familiar story and shows perfectly all the ways music can move us. ** NB Do you have a young baby or more than one child you’d like to enrol? If you don’t see the class you want, please contact me and let me know! A minimum of 5 enrolments (maximum 10-12) will be required for classes to commence at new locations.